One of the most important problems in MS is understanding why some patients get worse or progress, and others do not. In a percentage of patients with relapsing-remitting MS (RRMS), clinical symptoms lead to a progressive deterioration over the course of many years, and is referred to as secondary progressive MS (SPMS). In about 15% of MS patients, the disease is progressive from the onset, referred to as primary progressive MS (PPMS). The limited understanding of the mechanisms of disease worsening is one reason for the lack of therapeutic options for this class of patients. A major focus of research at Tisch MS is to investigate and understand the underlying causes of disease progression using novel approaches based on comparative analysis of cerebrospinal fluid (CSF). One of the major challenges in progressive MS research is the lack of an adequate experimental animal model of progressive disease. Dr. Massimiliano Cristofanilli and his group investigated novel models of progressive MS to better understand the mechanisms of disease progression, regeneration failure, and to screen for potential therapeutic agents. They hypothesized that the agent(s) responsible for the loss of myelin and ongoing neurodegeneration is present in patients’ CSF. Therefore, CSF should be capable of replicating the disease’s pathophysiological phenotype in cell culture and in mice. The research showed that CSF from progressive MS patients was capable of promoting neuronal and oligodendroglial differentiation in an in vitro model (Cristofanilli et al 2011). More recently, they published a seminal paper describing a novel animal model for progressive MS based on the injections of progressive MS patient CSF into mice (Cristofanilli et al 2014). Interestingly, injection of CSF in the mouse brain led to the development of typical MS-like lesions remote from the site of injection in areas of the spinal cord, a site of disease predilection in progressive MS. These studies are the first to utilize an experimental model based on human pathology, and will likely aid in the development of therapeutic strategies specifically directed at progressive disease. 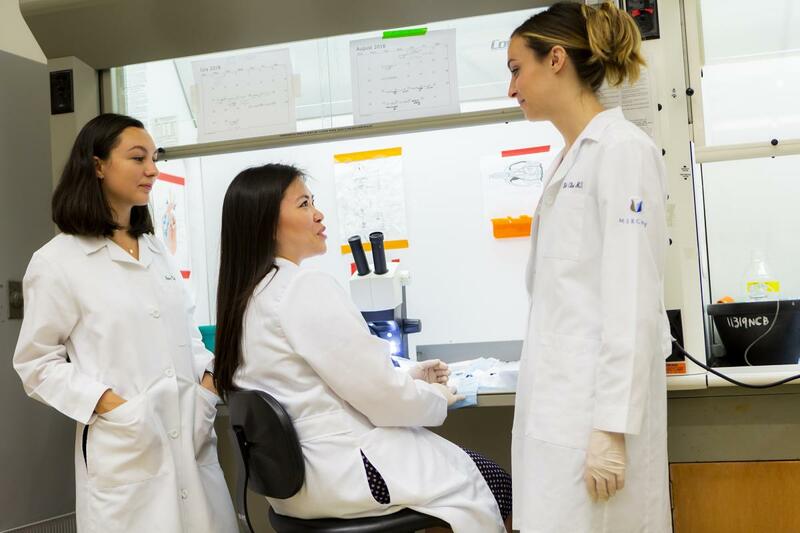 Dr. Jamie Wong and her research team are working to optimize the progressive MS animal model in order to gain a better understanding of the trajectory of primary progressive multiple sclerosis (PPMS). As PPMS shows significant pathology in the cervical spinal cord, her team is currently developing a PPMS animal model to mirror this disease course. To implement this, mice are either injected with CSF through various routes of administration in order to optimize CSF delivery and development of demyelinated lesions. Using this novel animal model, her work has investigated the role glutamate toxicity as an important mechanism contributing to PPMS pathology. Changes in neurotransmitter levels and in gene expression in the spinal cord are also being investigated to identify novel therapeutic targets. Astrocytes are glial cells in the brain and spinal cord that become activated during inflammatory demyelination where they play a critical role in the response to myelin and axonal injury, including formation of the glial scar. Research at Tisch MS has focused on understanding the mechanisms of astrocyte activation in order to identify possible therapeutic targets for progressive disease. Dr Cristofanilli’s group identified an enzyme called transglutaminase-6 (TGM6) expressed in reactive astrocytes in MS plaques. Antibodies against TGM6 were found in higher levels in the CSF of progressive MS patients. Additionally, patients with active disease had the highest levels of TG6 antibodies, suggesting the potential to use antibodies against TG6 as a biomarker of progressive MS. Using the experimental autoimmune encephalomyelitis (EAE) mouse model of MS, they found that TGM6 expression corresponded with the disease course. This recently published work (Cristofanill et al 2016) suggests that TGM6 expression by reactive astrocytes within both human and mouse lesions suggests its’ involvement in the mechanisms of glial scar formation. Additional work by Dr. Wong’s team is continuing to study the role of TGM6 in MS autoimmunity. Metabolomics is a tool by which the small mass metabolites involved in biochemical reactions in the brain can be both identified and quantified. The investigation of metabolic changes in the brain in MS will allow us to better understand and measure the underlying mechanisms of disease progression in MS. Dr. Fozia Mir and her research team have conducted extensive metabolomics analysis in CSF of progressive MS patients and identified metabolic changes specific to disease subtypes. Specific fatty acid metabolites have been found to play a role in brain function of MS patients and were shown to correlate with the level of disease activity (Mir et al, manuscript in preparation). 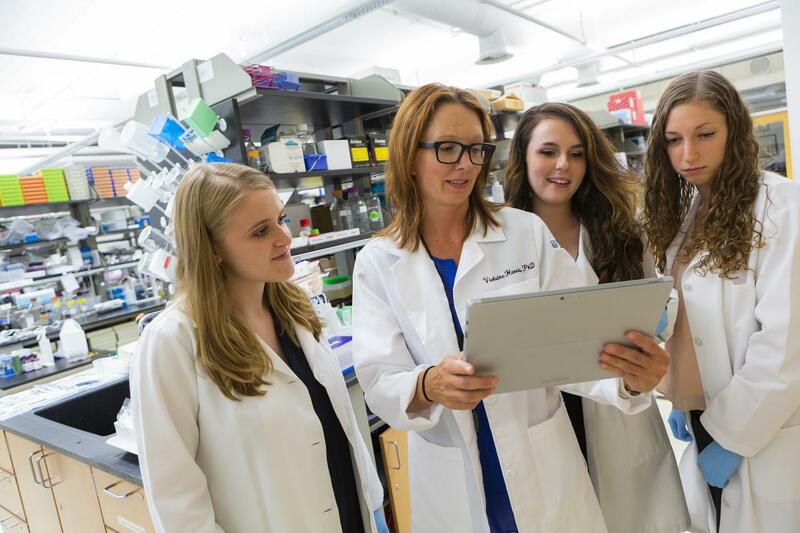 In addition, her work has identified the involvement of the metabolomics pathway in regulating DNA methylation, a process crucial for remyelination. The study of metabolomics will allow us to identify novel biomarkers of disease activity and progression as well as to discover potential therapeutic targets by unraveling the altered metabolism specific to MS. Despite limited therapeutic options for progressive MS, accumulating evidence from Tisch MS clinical research team (Sadiq et al 2010) suggests that repeated intrathecal delivery of methotrexate (IT-MTX) results in disease stabilization (EDSS stable or improved) in the majority of patients with SPMS or PPMS. Methotrexate is a dihydrofolate reductase inhibitor with anti-metabolic and anti-inflammatory properties. The mechanism of action of IT-MTX in stabilizing progressive MS in patients who are unresponsive to other disease-modifying therapies is currently unknown. Previous studies from Tisch MS have examined the effects of methotrexate on the cuprizone-induced demyelinating model of MS (Mueller et al 2013) Dr. Violaine Harris and her research team are investigating biochemical changes in CSF in MS patients being treated with IT-MTX and have identified changes in microglia/macrophage activation markers, suggesting a role for chronic activation of microglia/macrophages in driving disease progression in MS.